A clean boot allows you to start Windows without running non-Microsoft services. It would help you troubleshoot and determine what application or program is causing the problem that you have. After upgrading to Windows 10 or updating Windows 10, you may encounter software conflicts. To fix the problem, it is necessary to perform a clean boot. Here you will learn how to perform a clean boot in Windows 10. 2. Type msconfig in the run box and click on OK button. 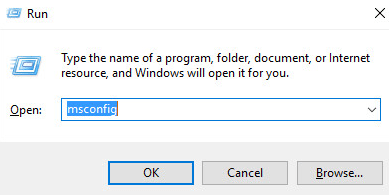 This is to open “System Configuration” dialog box. 3. 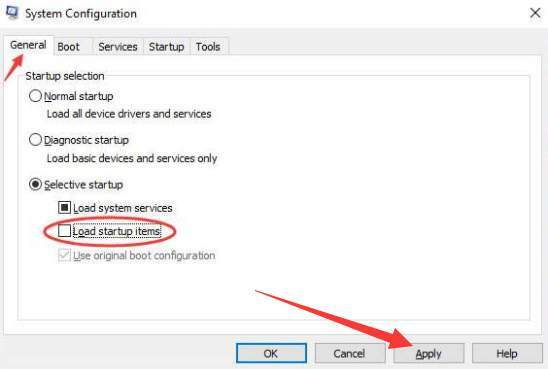 In General tab, under Selective startup, uncheck the box next to Load startup items. Then click on Apply button. 4. 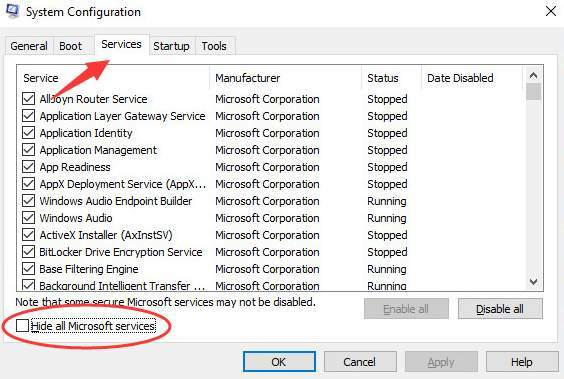 Click on Services tab and check the box next to Hide all Microsoft services. Then click on Disable all button. 5. Click Apply then OK button. After rebooting, refer to the steps above to enable those disabled services. 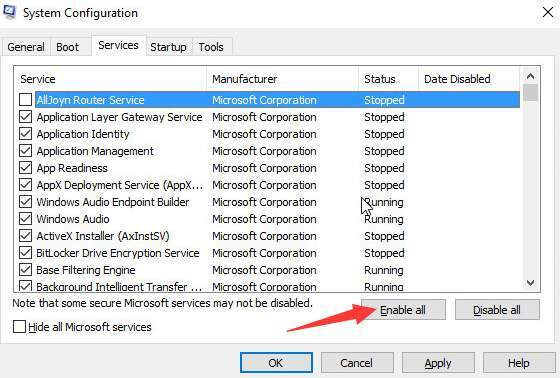 If you have installed multiple non-Microsoft services. It is recommended that you enable several services at a time then reboot your PC.Keep doing this to find a group which are causing the problem. Then check the suspect services one by one until you figure out which one is causing the problem.